Paris : An Airbus A320 of a German low-cost airline with 148 people on board crashed on Tuesday in southern France while flying from Barcelona to Dusseldorf, media reports said. France's transport minister said there were "no survivors" from the crash of the Germanwings Airbus A320. "The circumstances of the accident, that are not yet clear, make us think there are not thought to be any survivors," President Francois Hollande told reporters. he plane was travelling from the Spanish coastal city of Barcelona to the German city of Duesseldorf when it went down in the Barcelonnette area in southeastern France. "The debris of a passenger plane has been found in the region of Barcelonette," said interior ministry spokesperson Pierre-Henry Brandet. He said "major rescue efforts" had been mobilised. The airliner, which was carrying 142 passengers and six crew, issued a distress call at 10:47am (0947 GMT), civil aviation authorities said. The aircraft, belonging to Germanwings, crashed around 11 a.m. in Alpes-de-Haute-Provence in southern France, The ill-fated passenger jet was carrying 142 passengers and six crew members when the tragedy occurred. 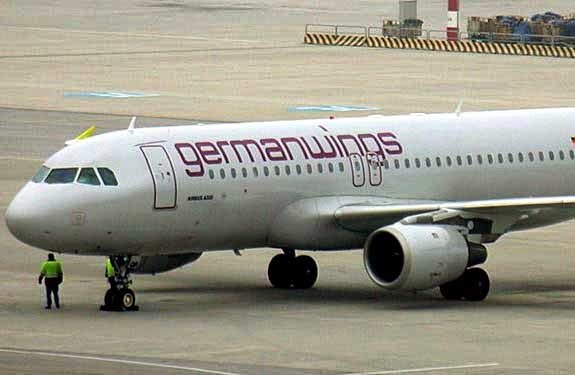 Germanwings is the low-cost subsidiary of Germany’s Lufthansa Airlines, Europe’s largest carrier.